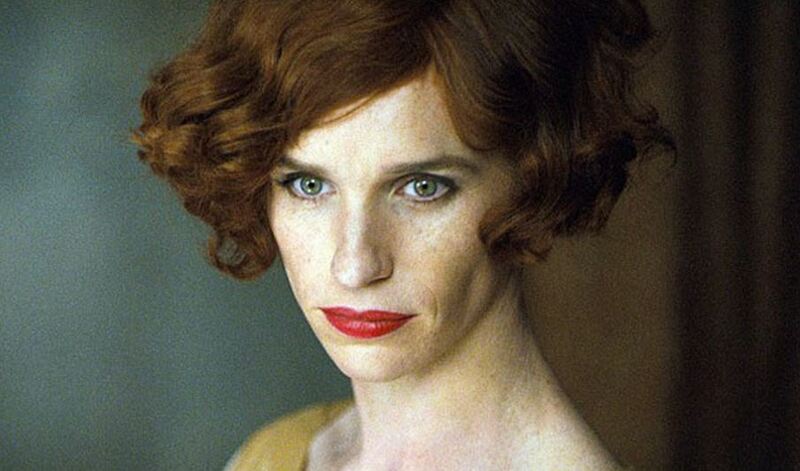 This is IN ADDITION to it’s aiming Eddie Redmayne’s next tour-de-force-to-be “The Danish Girl” which features the young Oscar Winner as one of the world’s first transgenders, Lili Elbe. It’s aiming it right at Oscar with its’ Nov. 27 release date. So IOW Focus has got it hands full already of potential Oscar nominees. The fact “The Danish Girl” has Oscar Winner Tom Hooper directing it is another AMPAS A-plus-plus. Here’s what Focus had to say today. Cleary these are both important films. SANTA MONICA, CA, March 17th, 2015 – Focus Features has acquired North American distribution rights from Pathé to the drama Suffragette, directed by BAFTA Award winner Sarah Gavron from a script written by Emmy Award winner Abi Morgan, for a Fall 2015 domestic release. The cast of the U.K. film includes Academy Award nominees Carey Mulligan and Helena Bonham Carter, BAFTA Award winner Ben Whishaw, British Independent Film Award winner Anne-Marie Duff, Golden Globe Award nominee Brendan Gleeson, and three-time Academy Award winner Meryl Streep. Focus has also acquired the distribution rights for Latin America, India, South Korea, and most of Eastern Europe including Russia; Universal Pictures International will release the film in those territories. Focus CEO Peter Schlessel made the announcement today. Ruby Films’ Alison Owen, an Academy Award nominee as producer of Elizabeth, and Faye Ward are the producers of Suffragette, which is directed by Sarah Gavron (Brick Lane) from a screenplay by Abi Morgan (The Iron Lady). The film’s executive producers are Cameron McCracken, Tessa Ross, Rose Garnett, Nik Bower, James Schamus, and Teresa Moneo. Suffragette is a Ruby Films production for Focus Features, Pathé, Film4, and the BFI in association with Ingenious Media and with the participation of Canal+ and Cine-Cinema. Suffragette is a moving drama that will empower all who are striving for equal rights in our own day and age. The stirring story, inspired by the early-20th-century campaign by the suffragettes for the right of women to vote, centers on Maud (played by Carey Mulligan), a working wife and mother who comes to realize that she must fight for her dignity both at home and in her workplace. Realizing that she is not alone, she becomes an activist alongside other brave women from all walks of life. The early efforts at resistance were passive but as the women faced increasingly aggressive police action, the suffragettes become galvanized – risking their very lives to ensure that women’s rights would be recognized and respected. The deal was negotiated by Focus Features’ Beth Lemberger, Executive Vice President, Business Affairs, and Lia Buman, President of Acquisitions, with Cameron McCracken, Managing Director, Pathé Productions, and Muriel Sauzay, Head of Sales, Pathé International. Focus Features (www.focusfeatures.com) makes, acquires, and releases movies from rising and established talent and filmmakers. In addition to Suffragette, upcoming releases from Focus include Leigh Whannell’s Insidious: Chapter 3, the newest chapter in the terrifying horror series; Tarsem Singh’s Self/less, starring Ryan Reynolds and Ben Kingsley; Sinister 2, directed by Ciaran Foy; London Has Fallen, the sequel to the worldwide smash hitOlympus Has Fallen, starring Gerard Butler and directed by Babak Najafi; Academy Award-winning director Tom Hooper’s The Danish Girl, the remarkable love story inspired by the lives of artists Einar and Gerda Wegener (Academy Award winner Eddie Redmayne and Alicia Vikander); Kubo and the Two Strings, the new family event movie from animation studio LAIKA, directed by Travis Knight with a voice cast that includes Matthew McConaughey, Charlize Theron, Rooney Mara, Ralph Fiennes, Brenda Vaccaro, and Art Parkinson; Stephen Hopkins’ Race, starring Jeremy Irons, Jason Sudeikis, and Stephan James as the legendary athletic superstar Jesse Owens; and Juan Antonio Bayona’s visually spectacular drama A Monster Calls, starring Lewis MacDougall, Felicity Jones, and Liam Neeson. Pathé operates as a fully integrated studio and has a presence in France, the UK, the Netherlands, and Switzerland. It is involved in all aspects of filmmaking, from development and production through to international sales, distribution, and exhibition. Inn at Cook Street, Provincetown. You’ll Love It! So Honored to be Headlined at Awardsdaily.com! Carey! How marvelous to hear from you all after all this time! We met during the New York City junket of your first film “An Education.” We were in a hotel room mid-town. It was quite swanky, and i gave you my business card, and said “Don’t forget me!” since I didn’t have a tape recorder with me. And you were very sweet, and so new at all this. I’m sure being The Oscar Messenger, I told you that you would get a Best Actress nomination, and that year, you did! And now here we are all these years later, and you found my blog! Thank you for your astute comment on “Suffragette.” I totally agree with everything you said. I am something of a feminist myself. I’ve even been to Susan B. Anthony’s house up in Rochester New YorK. It was kind of unforgettable. You should go if you’ve never been. They gave me a deep purple sweat shirt that said, “Failure is Impossible” one of her most known quotes.